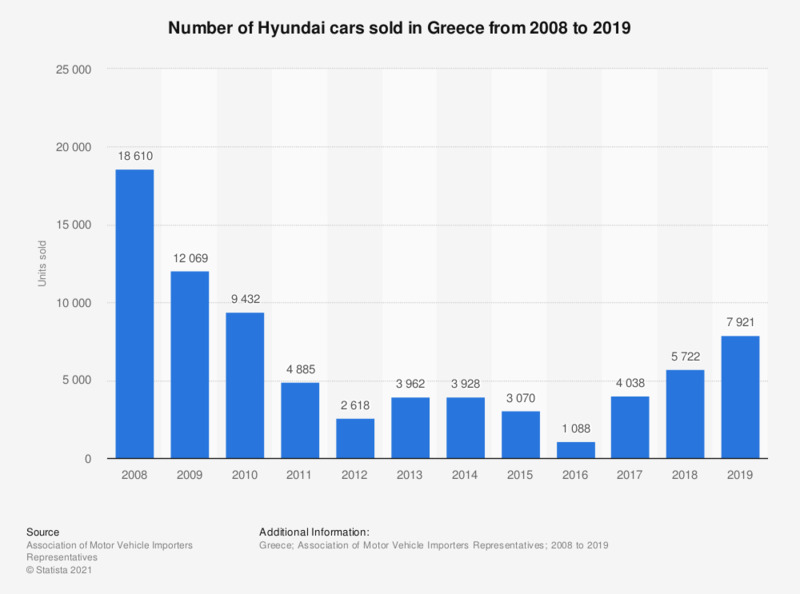 This statistic shows the number of cars sold by Hyundai in Greece between 2008 and 2018. Greek sales of Hyundai cars fell from a peak of over 18.6 thousand units sold in 2008 down to 2.6 thousand units by 2012, although this was followed by growth in the following years. In 2018, there were 5.7 thousand units of Hyundai cars sold in Greece. Figures for previous years were provided by the source.